I know I am not the only one totally grossed out by mold. 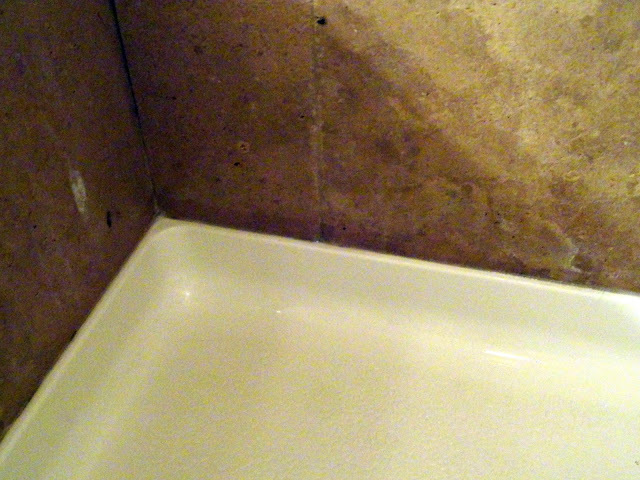 Our shower has this grout line around the base below the travertine that likes to grow mold. I gathered a few supplies and thought I would see if I could tackle the mold problem. You will need bleach, a small bowl and cheap cotton balls. 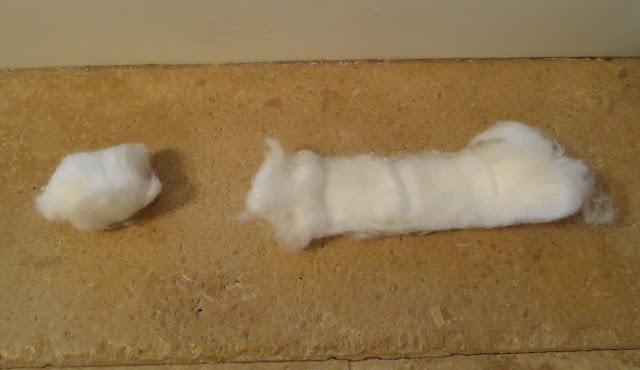 My guess is that I bought these cotton balls at the dollar store. You all know how much I love the Dollar Store! It's important to get these cheap cotton balls because who knew...they actually unball and make a cotton line of goodness that is going to get right in there and eat away that mold. 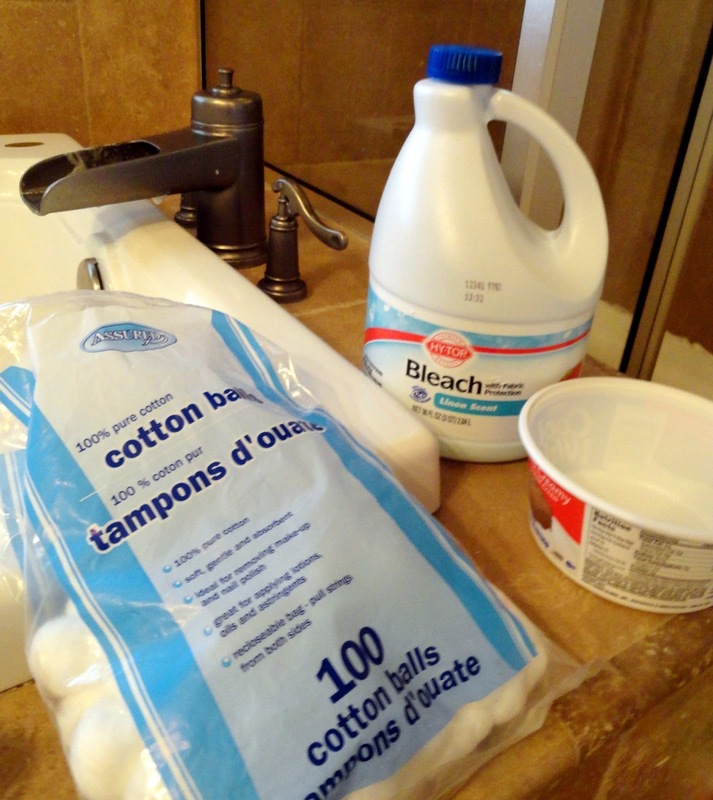 Unroll your cotton balls and dip them in the bleach. Don't squeeze them out, you want all that mold killing goodness! 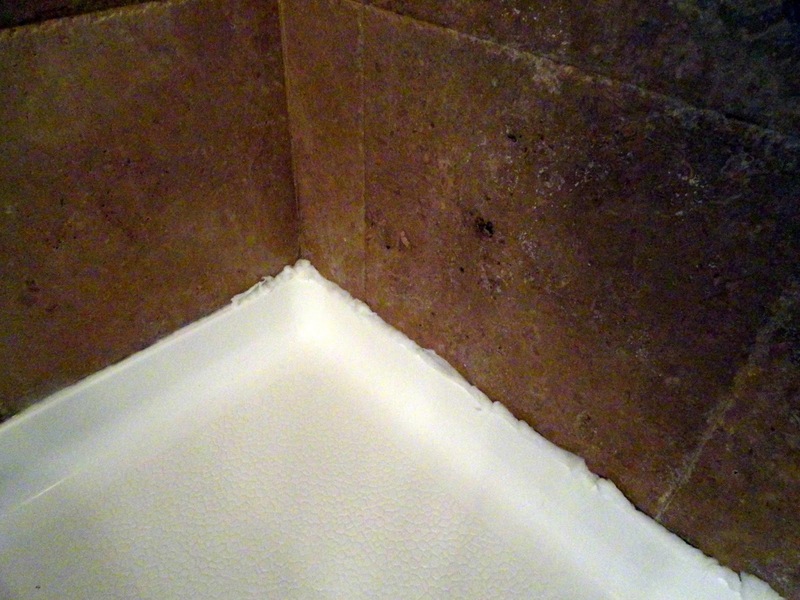 Place them around your grout line. Let the cotton soak for the majority of the day. I left mine for about 7 hours. Come back, wipe the cotton balls up around the edge and that's it, no scrubbing! Do you have any good tips for keeping your shower clean? 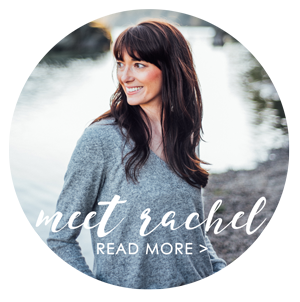 This is GREAT info Rachel! 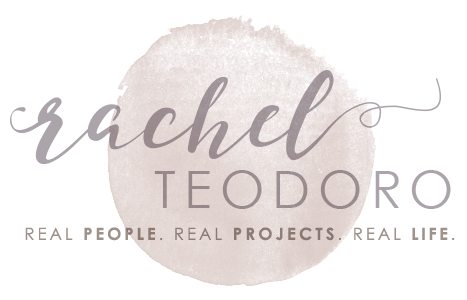 I would love for you to share your tutorial at the Pretty Things link party (live now) at twelveOeight!! Totally did it on my shower and it looks like a new shower! Thanks! Huge fan of bleach and its cleaning power! My readers loved this solution. It was one of the most clicked posts last week. I like the cotton ball idea (used to use about a 2 in. strip of paper towels and use a squirt bottle of bleach to soak it...worked pretty good. Only thing is, need to remove the old grout and when the mold is removed and the surface dry, apply new grout. Like the idea of the cotton balls; used to use about a 2 inch strip of paper towels and, with a squirt bottle, soak the paper towels with bleach. 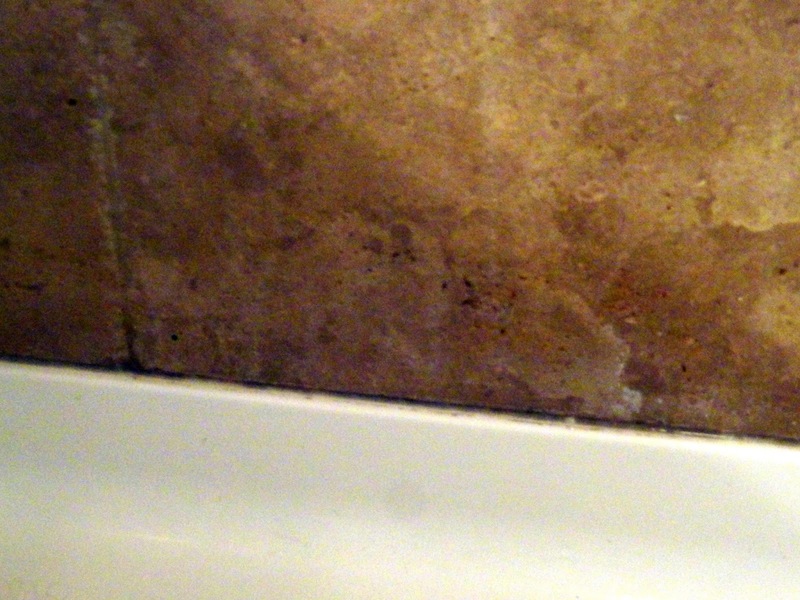 Only thing is: before any procedure, old grout has to come out, of course, then after, apply new grout.